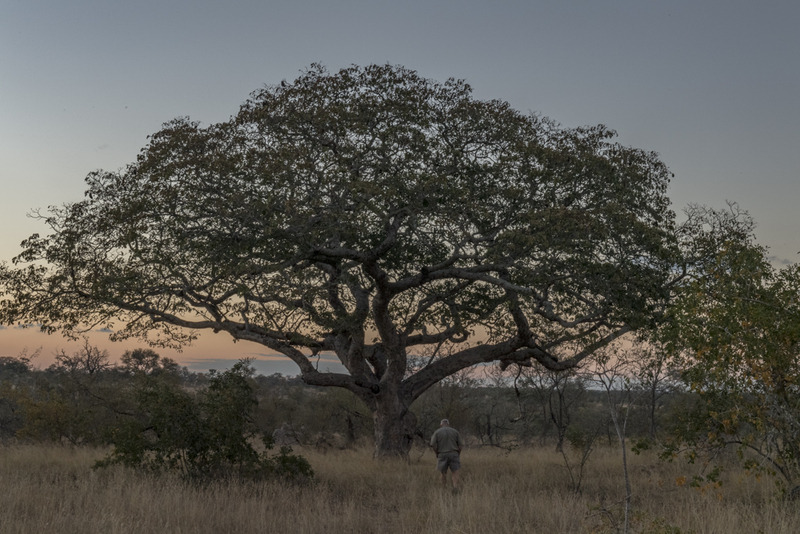 The Manyaleti is one of South Africa’s hidden bushveld gems. 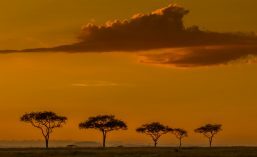 It is nestled between the Timbavati and Sabi Sands Reserves on each side and the Kruger Park on the east and civilisation, in the form of Acornhoek, on the west side. Winter is an eclectic time in the bush. Some days it can be toasty, lulling you into a sense that the lowveld is always warm. Sometimes it can be moody and misty, and other times it can be really cold. On our second morning we awoke at 5h45 to be ready for the requisite cup of coffee and a rusk around the morning camp fire. It was light but the sun had not yet peeped above the horizon. It is always great fun around the fire at this time, as the various camp visitors arrive bleary-eyed looking for a cup of coffee and regaling each other with stories about all the sounds they heard during the night. 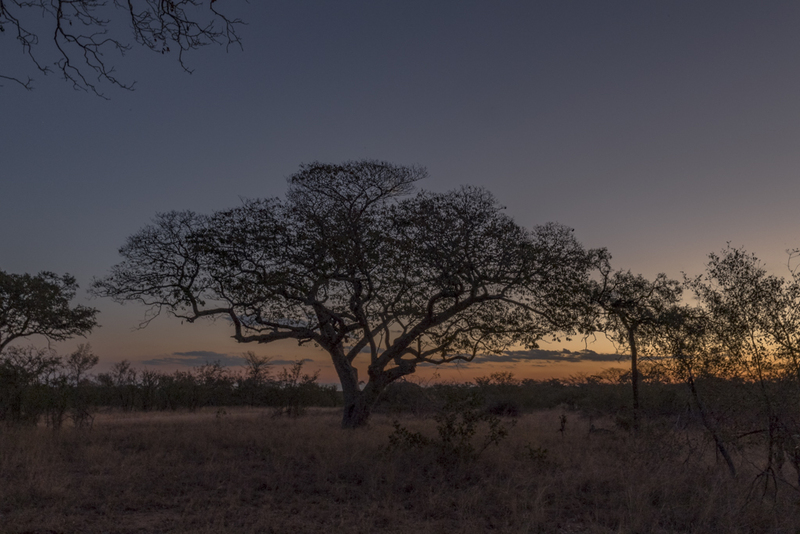 The one thing you will quickly realise is that the bush is seldom quiet during the night. The night shift is always busy and often noisy. Hyaenas were whooping and cackling in camp while wandering around in the murky light knocking over dustbins. Lions were roaring close by and an elephant was in camp breaking branches next to our tents. When there were no “ellies”, old buffalo bulls foraged in the camp at night, perhaps for safety. 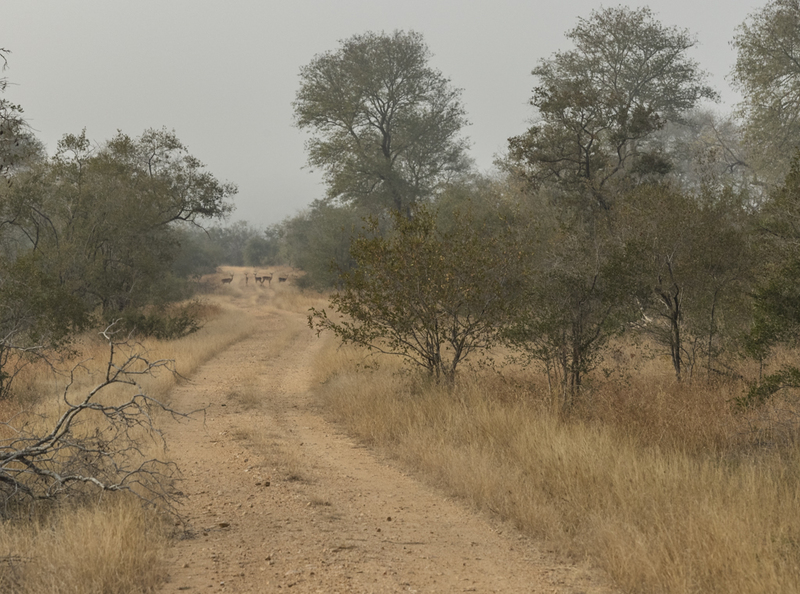 Invariably, one of the camp staff would walk you to your tent to make sure you do not encounter a buffalo – something which could shorten your stay in camp! Coffee finished, we climbed onto the game vehicle. It was cool – ‘cos it’s winter. We drove out of camp brimming with expectation. After the previous morning’s elephant incident we were wide awake and not sure what to expect. The camp was in a shallow valley which was shrouded in mist due to the temperature inversion. This image was taken at around 6h45. The moisture on my lens was evident and it was still relatively dark and very misty. 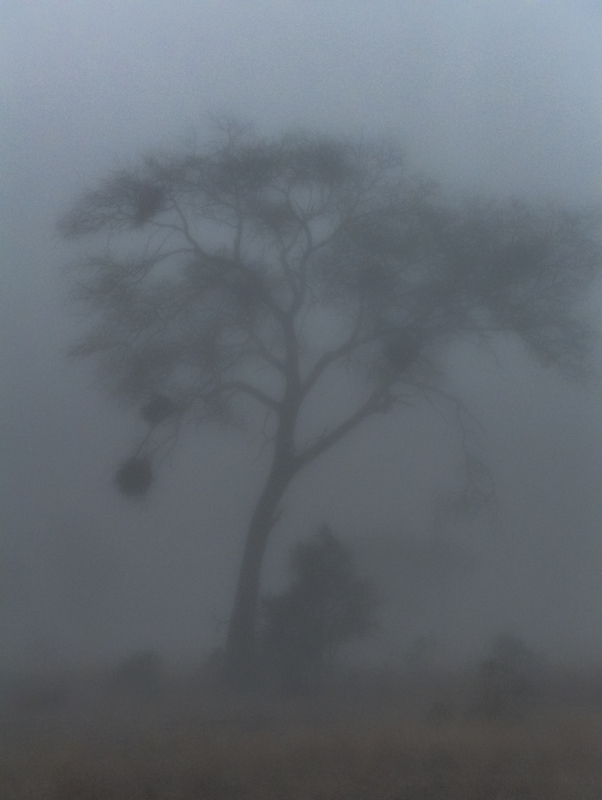 As the sun started to rise and we drove onto higher ground, the mood of the bush started to change. It was now about 7h30 but the light was peering in and out of swirling banks of mist. We stopped at a small dam. Pat switched the engine off and we just listened. The bush was eerily quiet with no bird or animal sounds. After listening carefully for a few minutes, Pat climbed out of the vehicle to show us some bushcraft. 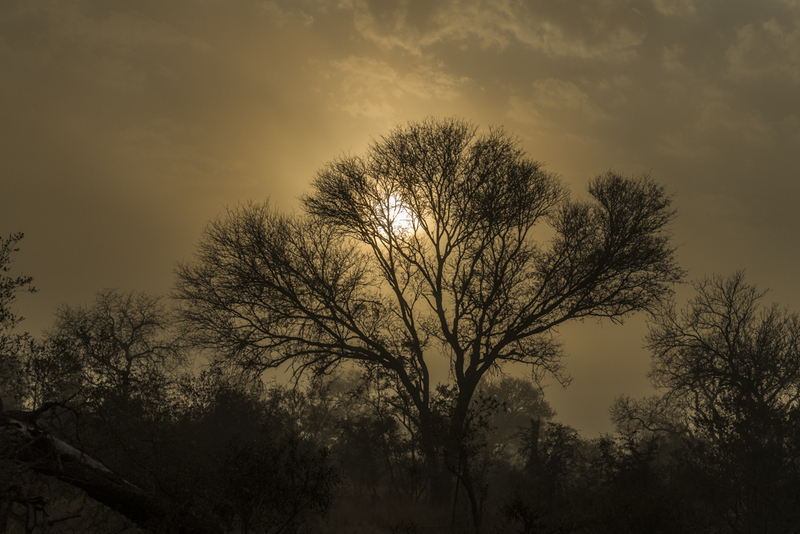 As the morning progressed the sun burnt off the mist and the wildlife in the bush started to become more active. 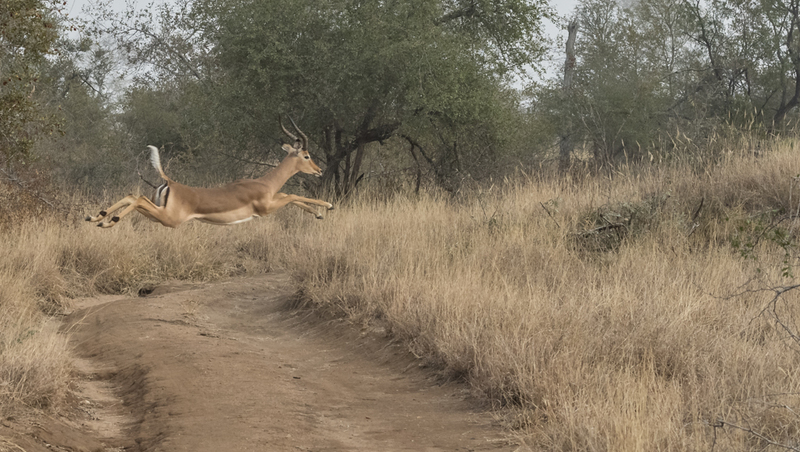 I am not sure what it is, but impala seem to prefer to jump over a road rather than run across it. When you are driving along these gravel road,s every bend offers an opportunity to see something unexpected. 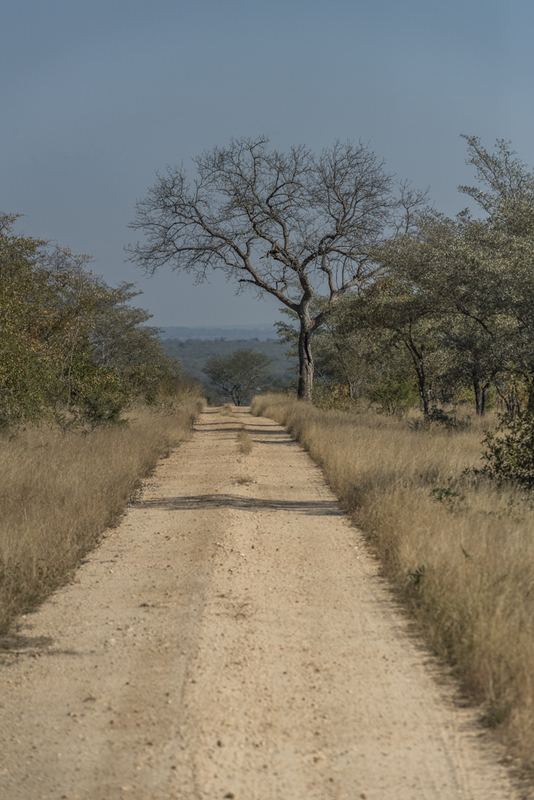 For those who have been in the bush many times, just looking down a gravel bush road can be very satisfying. 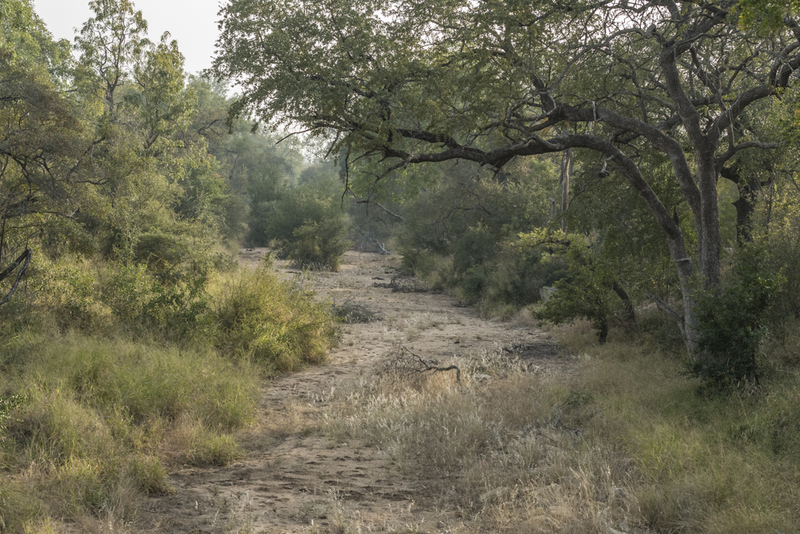 We always stop in a riverbed to look both ways in the hope that we see a leopard making its way along the sandy bed or to see some “ellies” browsing on the bushes next to the river. 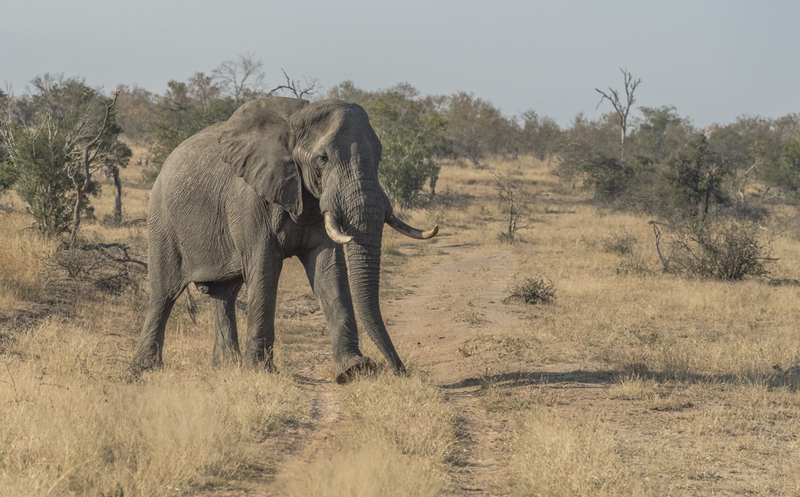 We came across many elephants in the Manyaleti, a surprisingly high number of bulls. They always command respect, and the right of way. 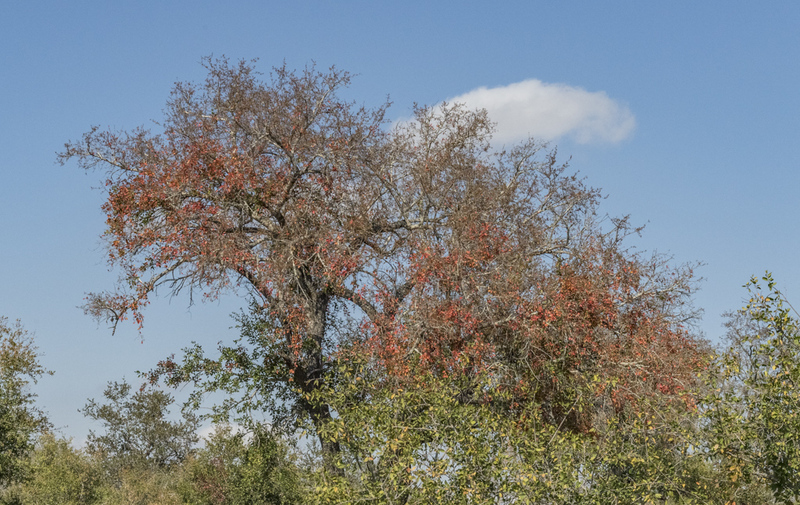 Winter is a time of many colours in the bush veld. The leaves of the Tamboti trees were starting to turn flame-red striking a contrast to the browns, greens and yellows of the winter flora. By now the sun was high, the mist had evaporated, and it had started to warm up enough to just walk around in shorts and a shirt. Views like this give a sense of never ending wildness. 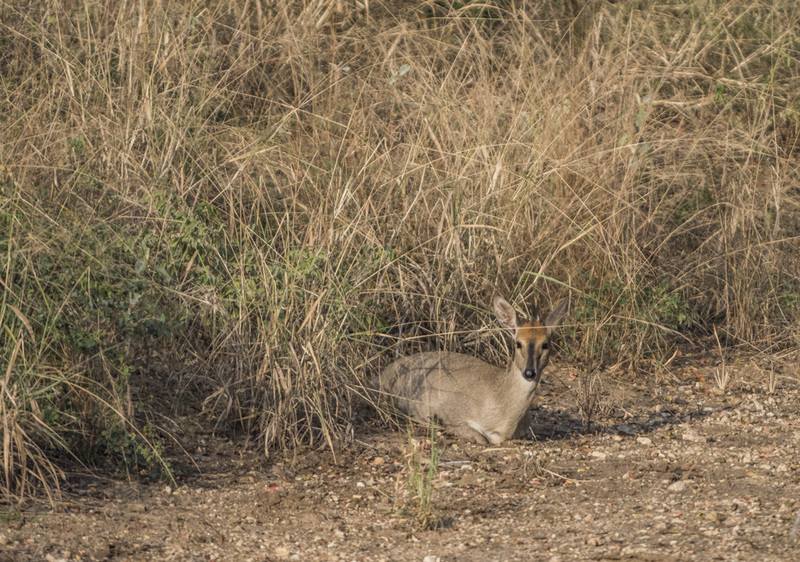 A female grey duiker lying in the morning sun on the edge of a riverbed. She was obviously trying to remain out of sight. When we passed, she did not move and just watched us drive slowly by. The big things are always interesting to see but so too are the small things. 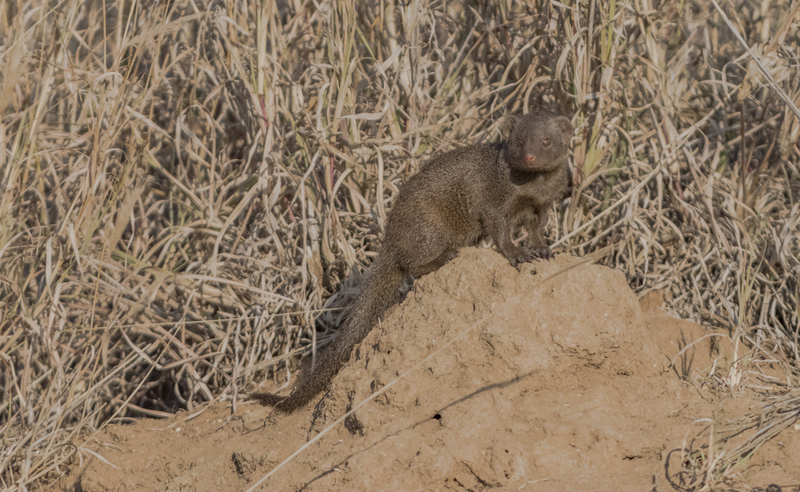 We came across several groups of banded mongooses and also found a family of dwarf mongooses living in an old anthill. As we arrived they all disappeared, but after a while, sitting quietly, they slowly came out into the open and started going about their business with one member of the family always on guard. 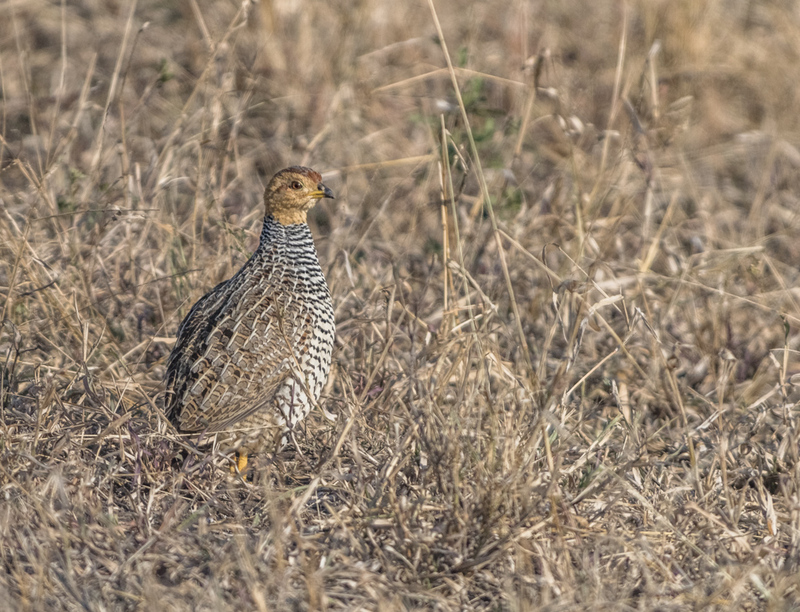 In the Manyaleti we found double-banded sandgrouse, which I did not manage to photograph, but we saw a few pairs of Cocqui francolin foraging in the low grass for seed. We would usually get back to camp around 10h30, just in time for a breakfast. The food at Pungwe camp was plentiful and tasty. There was normally animated discussion around the breakfast table about what we had seen. 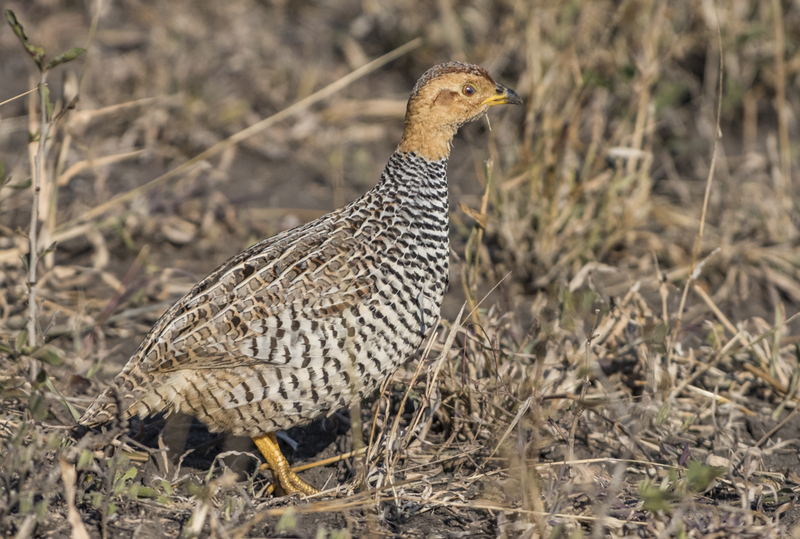 I have learnt that in the midst of the table chatter often wildlife will come into the camp and you need to keep eye open because every now and then something special arrives. On this occasion it was a Shikra. A Shikra is a type of goshawk. 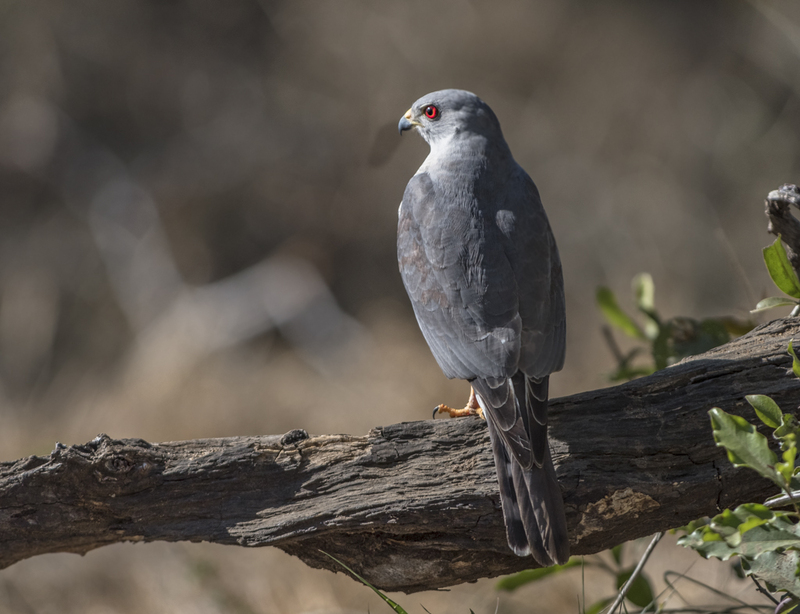 It is slightly bigger than a Gabar goshawk and has distinctive ruby red eyes and yellow legs. 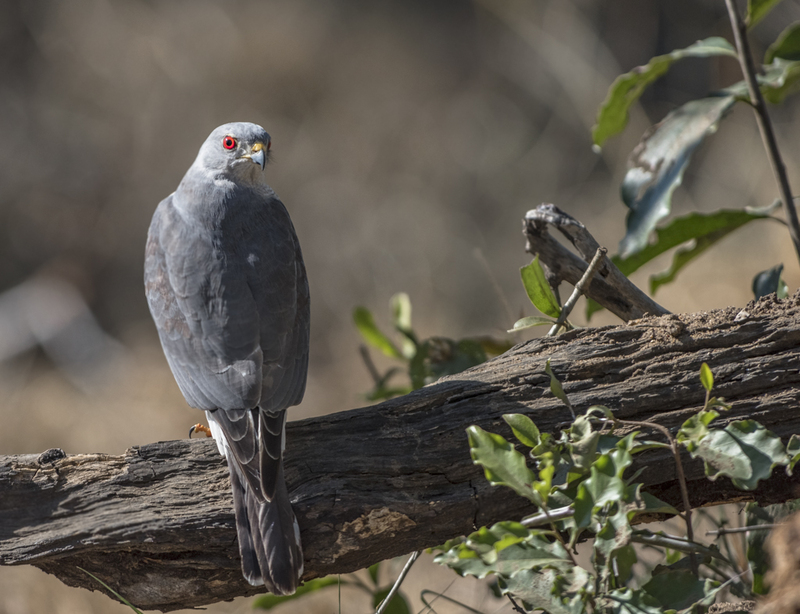 The barring on the breast is lighter than an African goshawk and its has dove-grey upper parts. This character flew down close to where we were having breakfast to take advantage of our breakfast distraction to have a quick wash in the bird bath. There was too much activity as Mark Bourne from the dog section of the anti poaching unit came and had breakfast with us and explained what was going on in the park and how they were coping with the poaching threat. The Shikra did not like the very active anti-poaching dog which was a cross between and doberman and a bloodhound so soon flew off to wait for a quieter time to bath. It is remarkable how much work goes into the anti-poaching effort and co-ordination required by ultra-dedicated people to sustain the protection. I have huge respect for the tireless and dangerous work they do to keep the wildlife safe from poachers. That afternoon we wandered around looking for lions which we found and will be part of the next blog. As the sun started to sink, Pat took us to a site where there were three large pod mahogany trees. They were thought to have been planted many years ago when the traders we coming up from the coast to trade inland with the indigenous tribes and the few pioneers. 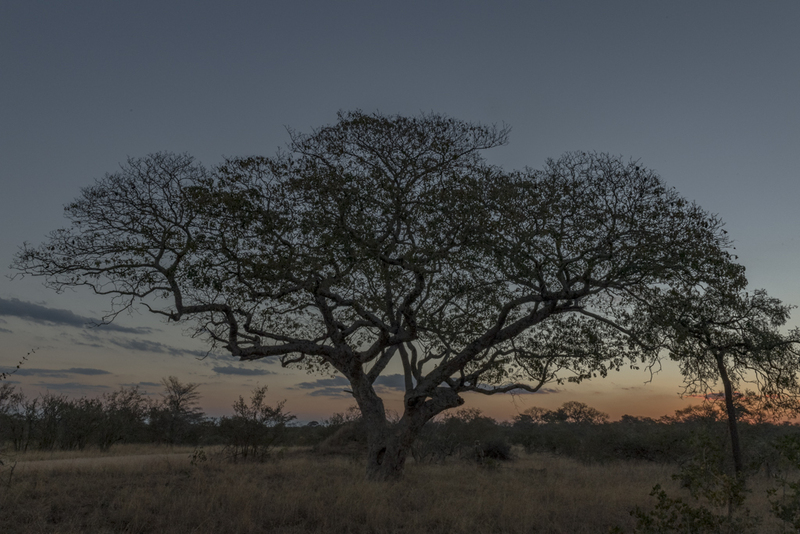 We had sundowners under these magnificent trees. This is always a time to reflect on the day’s wanderings while watching the sun paint pinks, mauves and oranges above the distant horizon. 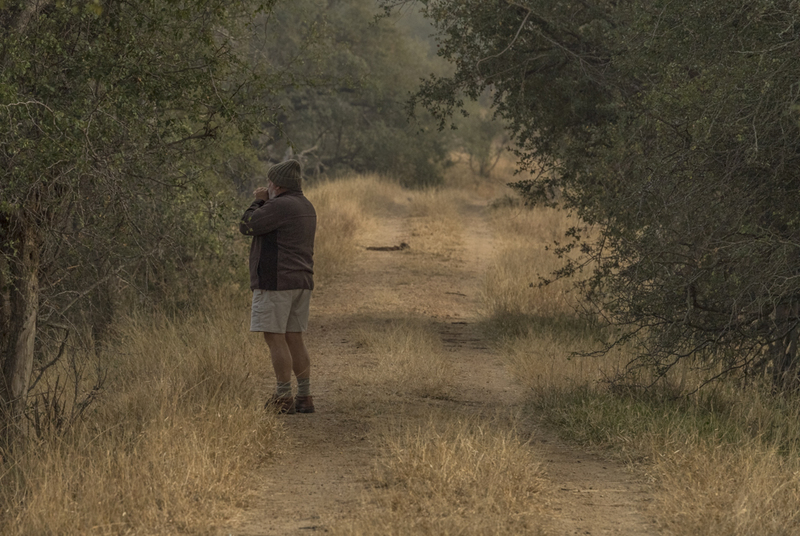 As the light fades, the Pearl-spotted owls start their piping whistles and hyaenas whoop in the distance, both signals that the night shift had started. We are often quiet for while as the sun is setting – ‘a time when the angels are flying over’. It is a sublime time when you are grateful to be alive and be able to appreciate this beauty. Once the drinks are packed away and we are on our way, Pat would stop and switch off the vehicle’s engine so that we could we sit quietly in the dark and just listen. Invariably, you look up, and I am always spellbound by the star-filled night sky. This vista always gives me a sense that we are part of a much bigger whole …. it is humbling. Explore, seek to understand, marvel at its interconnectedness and let it be. I have thoroughly enjoyed this journey with you.